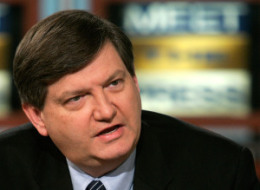 WASHINGTON — James Risen, a hard-hitting New York Times reporter, continues to have his feet held to the fire. A U.S. Appeals Court in Richmond, Va. on Friday ruled that the reporter and author must testify in a criminal trial of a former CIA officer accused of providing classified information to Risen about a botched plot against the Iranian government, USA Today reports. The court ruled that the First Amendment did not protect reporters in cases of unauthorized leaks from testifying against the suspected leakers. Risen has vowed to appeal the ruling to Supreme Court and go to jail if necessary. The ruling comes in wake of a controversial move by the Justice Department to secretly obtain Associated Press reporters’ phone records, and a vow by the Justice Department to be more sensitive to the work reporters do. The latest ruling has triggered much talk among journalists here in the nation’s capital. Mr. Risen is a national security reporter for The Times, but the case revolves around material he published in his 2006 book, “State of War,” not in the newspaper. A chapter in the book recounted efforts by the C.I.A. in the Clinton administration to trick Iranian scientists by having a Russian defector give them blueprints for a nuclear triggering device that had been altered with an error. The chapter portrays the operation as reckless and botched in a way that could have helped the Iranians gain accurate information. Posted: 7/22/13 at 9:48 AM under News Story.